Discover the laid back vibe of the islands amidst the high energy Las Vegas Strip at this 15,000 square foot casino and bar inside the Flamingo Las Vegas. 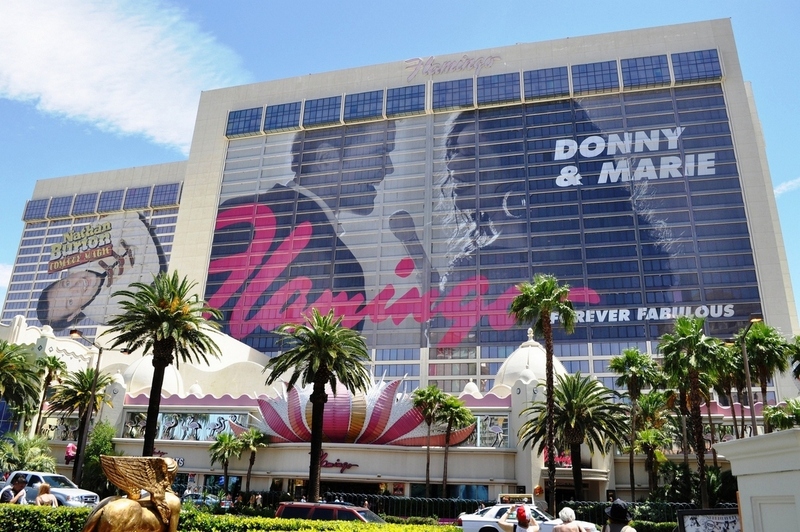 Dive into paradise at the Flamingo, where you'll enjoy table games, slot machines and a whole lot more. Welcome to Payout Paradise - a Las Vegas gambling area with more than 1,600 casino slot games, including video poker and Megabucks. With so many choices, you'll always experience a great time at this Las Vegas casino. The Flamingo's poker room features non-stop action and daily tournaments. You can also play Vegas casino games like craps, blackjack, baccarat and roulette. Extend your gaming experience at Jimmy Buffet's Margaritaville, featuring a 15,000-square-foot casino. Enjoy the Vegas casino's laid-back island vibe and choose from 14 gaming tables and 220 slot machines. Flamingo Las Vegas Casino is your Payout Paradise with over 1,600 of the most exciting casino slot games on the market. There are 220 more games in the Margaritaville Casino at the Flamingo. Our game selection includes favorites such as Blazing 7s, Wheel of Fortune, Megabucks, Sizzling 7s, 5 and 10 Times Pay, as well as an ever-changing selection of fun, new video slots. We have expanded our penny game selection and currently feature multi-line 2-cent progressive games that are becoming fast favorites with our guests! Hot new slots have arrived at Flamingo with more ways to win big jackpots. We've got a selection of new reel, video and poker slot machines. No matter what Las Vegas slot game you're looking for, you will likely find it at Flamingo Las Vegas Casino. Our latest addition, 2-for-1 and 3-for-1 Slots, offer even more opportunities to win with extra spins for every max bet. Our video poker selection includes a wide variety of poker, keno and blackjack games. CENTER CUT STEAKHOUSE - Mouthwatering steaks from Aspen Ridge Farms in Colorado are the centerpiece of Center Cut, the classic Flamingo Las Vegas steakhouse. MARGARITAVILLE - Look for your lost shaker of salt over a Cheeseburger in Paradise and dive into the signature Volcano Nachos at Jimmy Buffett's Margaritaville restaurant at Flamingo Las Vegas. BEACH BAR AND GRILL - Beach Club Bar and Grill is a seasonal poolside spot offering snacks and lunch poolside at the Flamingo Las Vegas Hotel and Casino's Beach Club. CARLOS AND CHARLIES - Get loose, get loud and get fun at Carlos 'n Charlie's, the Mexican casual restaurant's first West Coast location, at this Las Vegas restaurant. PARADISE GARDEN BUFFET - At Paradise Garden Buffet you can feast on cuisines from around the world while watching the wildlife in the Flamingo Las Vegas Hotel and Casino's habitat.